By organising protests and a threatened boycott of Vodacom, the ANC directly contradicts Ramaphosa, who says South Africa is ‘open for business’. There are a number of disturbing aspects of the “please call me” row involving Vodacom and one of its former employees, Nkosana Makate. Neither side has been completely open and honest about the whole process and there are so many distortions involved that it is difficult to see the wood from the trees. However, the most worrying development is that the ANC – through its Lilliesleaf branch and through Gauteng MEC for education Panyaza Lesufi – has been driving the protest movement, which is using intimidation and blackmail to force Vodacom to increase its offer of R49 million in compensation to Makate. 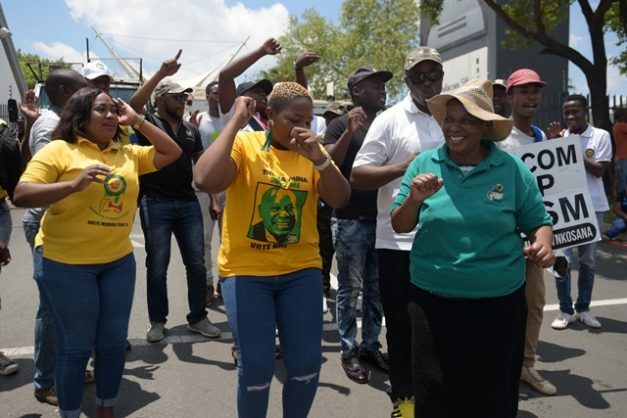 Some in the organisation have seized upon the opportunity to go electioneering, portraying the ANC as being on the side of the “little guy” against “corporate bullies” – or maybe even white monopoly capital, the bogeyman idea which still holds considerable sway within its ranks. This issue is one of business and not of politics. By organising the protests and a threatened boycott of Vodacom, the ANC directly contradicts its own leader, Cyril Ramaphosa, who told foreign investors in Davos that South Africa is “open for business”. How open is it when the ruling party takes sides so openly and blatantly?